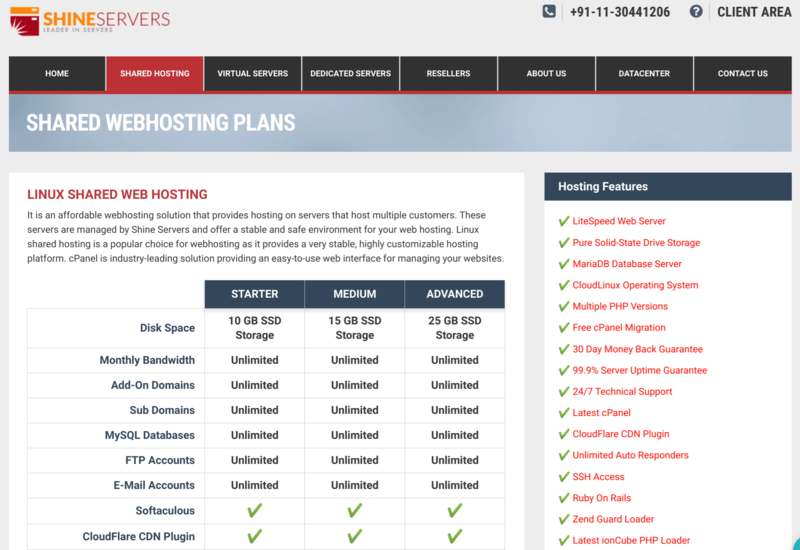 Shine Servers Review 2019: Is Shine Servers a Good Hosting? From data centers in the Netherlands, India-based Shine Servers provides shared hosting that is enhanced by CloudFlare CDN, LiteSpeed Web Server, the CloudLinux operating system, and SSD storage. It also offers VPS, dedicated servers, and reseller hosting. Established in 2010 to provide a range of web hosting services, Indian hosting company Shine Servers serves its customers with quality hosting and good customer service. From data centers in Rotterdam, Netherlands, it provides shared servers, virtual servers, dedicated servers, and reseller hosting. The Shine Servers website is in English. There’s no website builder, but Softaculous is included in the cPanel control panel so you can install web applications with just a few clicks. Experienced users will enjoy the unlimited FTP accounts, SSH access, support for multiple PHP versions, and Ruby on Rails. The SSD storage provides high-speed data transfer, and the CloudFlare CDN improves page loading performance by caching static website content on worldwide servers so that it can be delivered from servers closest to your visitors. The secure, stable CloudLinux operating system helps isolate you from other badly behaved hosted users. Shine Servers offers reasonably priced shared hosting that delivers premium server performance, speed, CDN, and better security. You get no free domain registration and no SSL certificate, but the prices are fair for what you get, and you also benefit from a 30-day money-back guarantee. This vendor also offers low-cost VPS plans that come with a shorter 10-day money-back guarantee. You can pay monthly for both kinds of hosting. Contrary to what it says on the Shine Servers website, the live chat doesn’t work 24/7, and you’ll have better luck with it during the official opening hours. There’s also a phone number, email address, and ticket system, so I tried the ticket submission route but didn’t receive a response. If you’d rather solve issues by yourself, you can use the online knowledge base as a guide. 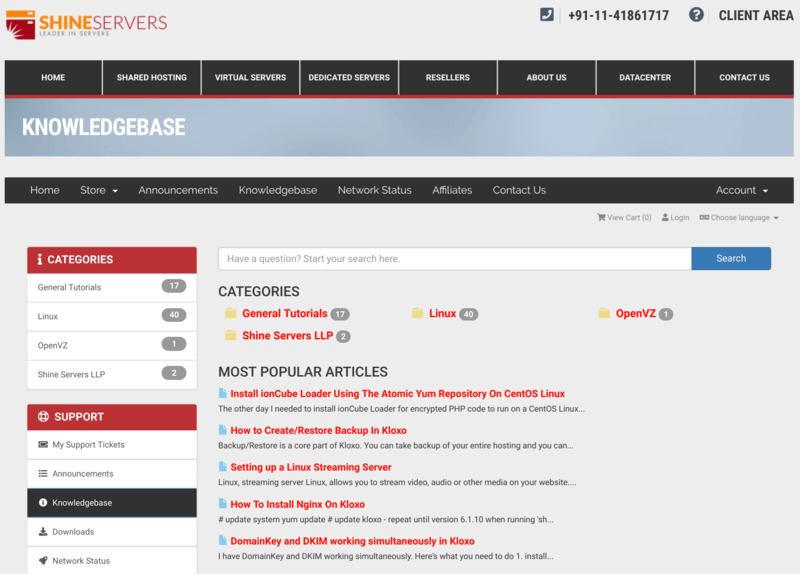 It contains tutorials on Linux shared hosting, VPS, and general hosting activities. If you’re looking for Indian hosting services, Shine Servers could be the vendor for you. It uses premium technology like CloudLinux, CloudFlare CDN, and LiteSpeed server, and its SSD-based hosting plans are not expensive. Wondering how Shine Servers stacks up against other Web Hosting companies? Enter any other Web Hosting company and we will give you a side-by-side comparison.